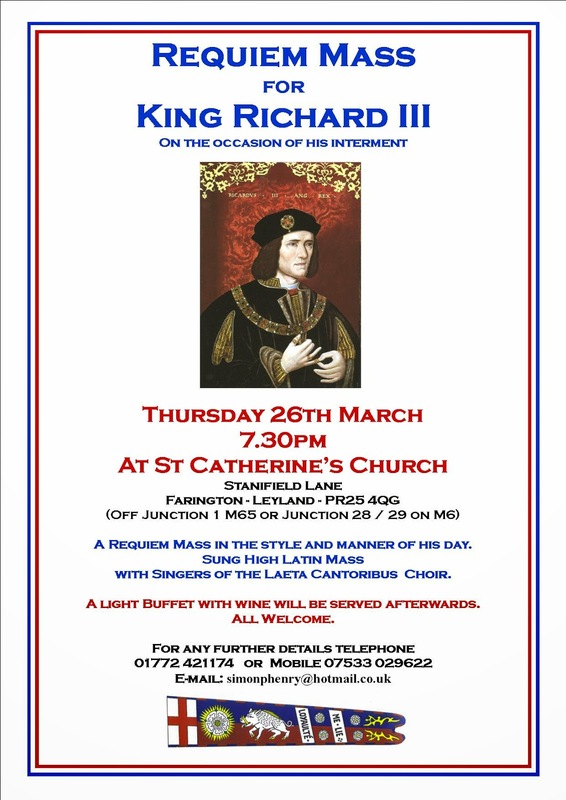 A reminder that we are offering High Mass (Requiem) for King Richard III this Thursday - the day of his interment at Leicester. While it is styled as being “in the manner of his day”, the intention is not to create an historically accurate re-enactment, like some set piece of theatre preserved forever in aspic. We are the living Church, not an historical re-enactment society, praying for one who was baptised into that Church. Not that I would be adverse to wearing a Sarum vestment loaned by the V & A or Sir Harry Christophers turning up with the Sixteen but we will manage a good showing, none the less. In fact, I'm very pleased that the singing and chant is now being provided by a new young singing group based in Manchester - the Manchester Singers - an exciting new a cappella vocal ensemble whose members include talented young artists just embarking on their professional careers. The evening is being sponsored by members and friends of the Order, including music, food and other assistance. I'm delighted that the three sacred ministers are all Chaplains of the Order. There is a buffet and wine afterwards - again with a Ricardian theme, although I can't guarantee there might not be some more prosaic fare amongst the swan stuffed with widgeon! "We know that Richard was a man of anxious devotion who kept and marked his own book of prayers and who must have attended Mass throughout his life. 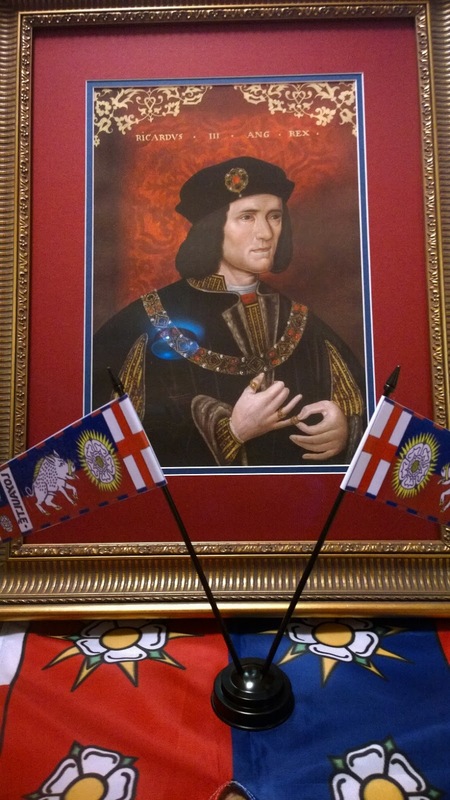 During this week, Mass is being offered in many Catholic Churches for the repose of the soul of King Richard III. Rightly so. That is exactly what he would have wished." So, its the intention to offer King Richard Catholic rites that more closely resemble what he might have expected on the day of his death. Those we hope the Fransiscans at Leicester gave him, no matter what the defeated and unceremonious arrival at their gates. Our intention is to offer the grace of Christ’s sacrifice that every soul would surely wish for and stands in need of in approaching the Gates of Heaven and the Judgement Seat of the Creator. A Requiem Mass in the style and manner of his day. A light Buffet with wine will be served afterwards.